NORTH OF THE ISLE OF SKYE, READY TO GO BACK ON IT'S MOORING . MAKE THE OFFSHORE 600 THE PERFECT BOAT TO COPE WITH THESE WATERS. The Falkland Offshore 600 range is a serious bit of angling kit ! 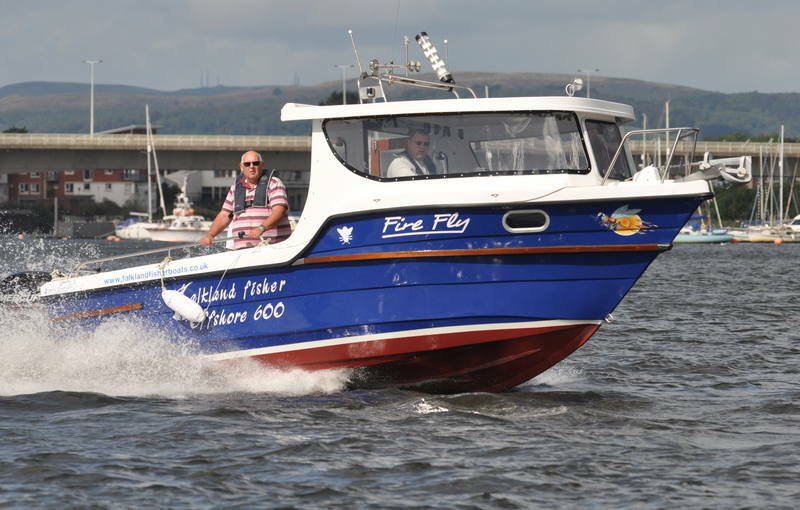 With sleek lines based on the new "SURF-PRO" 500 hull design ,the 600 is taking the angling market by storm ! 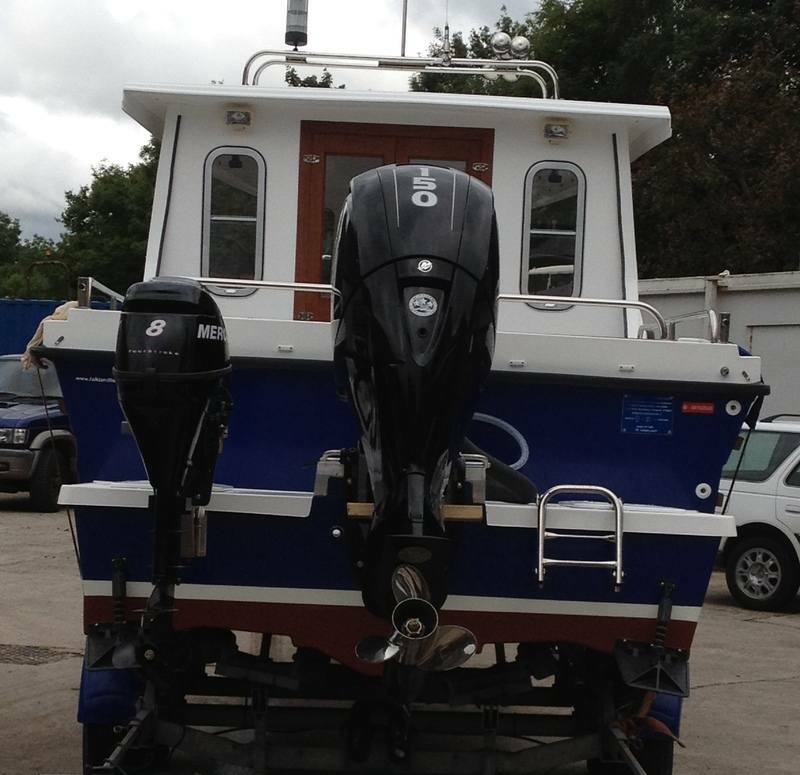 There are many pretentious angling boats on the market ,but few proper ones ! We have SEAFISH approval to build these for the Commercial Fishing Industry.This speaks volumes about the strength and build quality of the Offshore 600. The freeboard on the 600 is far greater than the 500 series . Coupled with an extra spray rail , this creates an exceptionally dry ride . set up or an inboard engine . and sea worthiness you would expect from a Falkland Hull ! 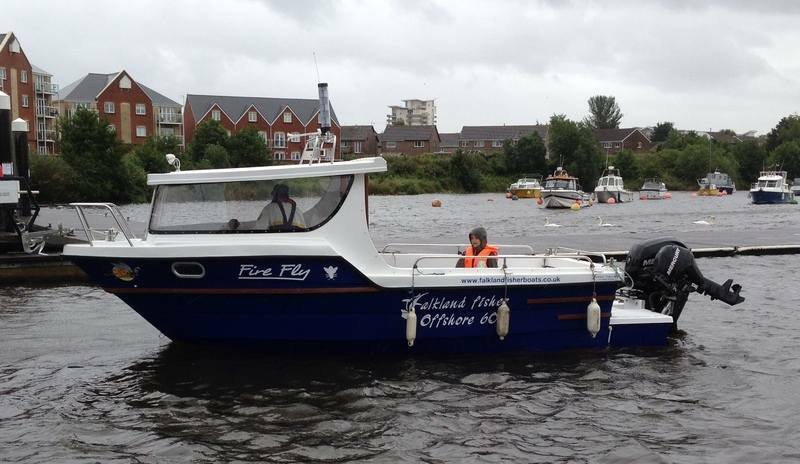 configuration at the stern, overall, it's a great piece of angling kit ! 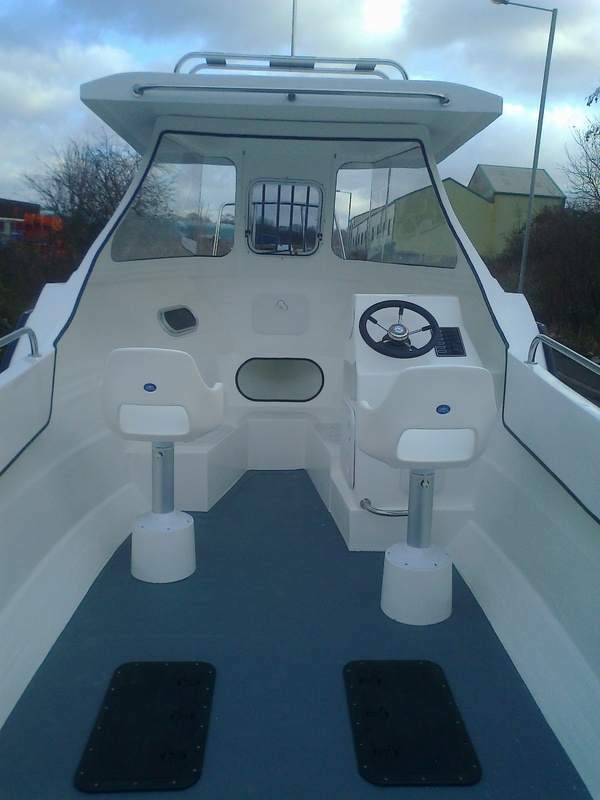 You can have a variety of options to choose from including inboard or outboard packages. 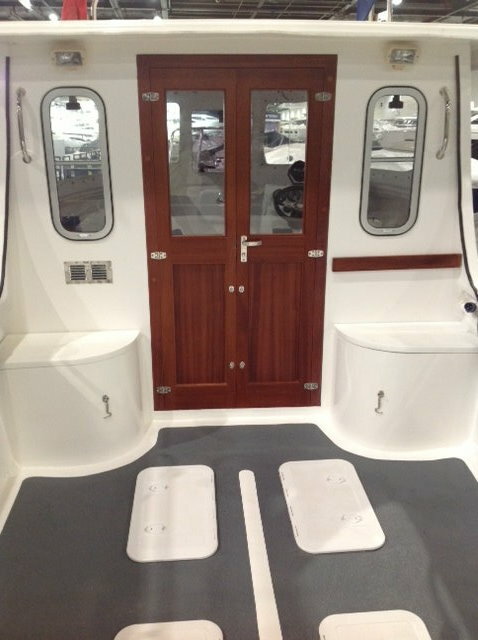 The internal layout on this particular boat has four individual draining lockers under the floor, giving maximum storage space, as per customers requirements. There are also lockers built into the bunkbox seating , port and starboard.Reinforcing ribs are built into the hull to give it commercial strength. A tackle box is incorporated into the console at the rear. The Offshore 600 comes in a wheelhouse version open or closed and a Cuddy option for those who want maximum fishing space but still with some shelter! The pod system, which is profiled as per hull configuration , on the outboard version allows maximum deck space and increased storage space. 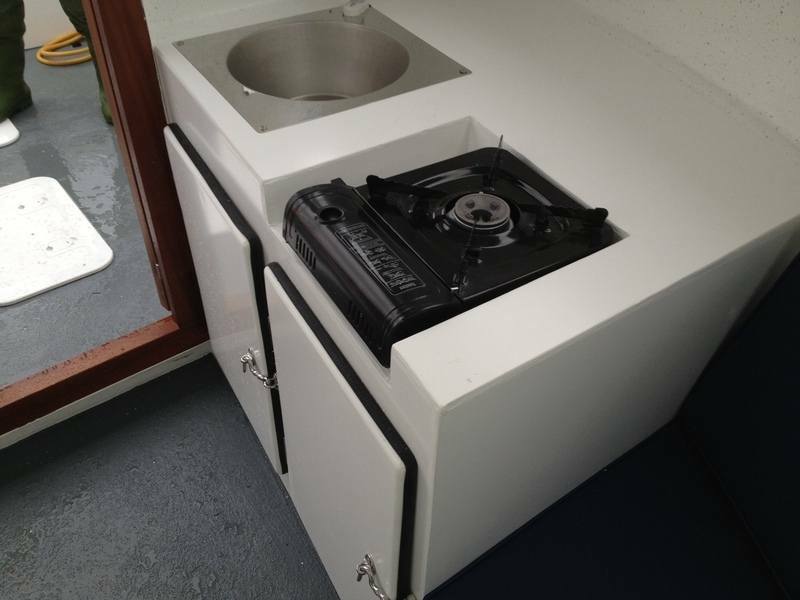 A customer requested a galley . We incorporated this into the wheelhouse where the secondman's seat is usually located ! A SERIOUS FISHERMAN'S BOAT !